About the official friendly visit of the Chairman of the Provisional Military Administrative Council, the Steering Committee of the Labor Party of Ethiopia - Mengistu Haile Mariam, to the Soviet Union. Stay Ethiopian leader Mengistu Haile Mariam in the USSR: Meeting at the airport, reception at the Kremlin, Leonid Brezhnev, the presentation of diplomatic representatives of the Ethiopian guest, giving Leonid Brezhnev in the Kremlin Order "Star of Honor of Socialist Ethiopia, the laying of wreaths at the Mausoleum B. Lenin. Trip leader of Ethiopia in Volgograd: city tour, visiting the Volga hydroelectric station, the Volgograd Tractor Factory, Mamaev Kurgan. Stay Mengistu Haile Mariam in Kazakhstan: a meeting with the leaders of the republic, visiting the Alma-Ata cotton mill, an agricultural exhibition, a tour of the city of Alma-Ata. Military parade and a workers' demonstration in Moscow on November 7. Signing in the Kremlin, Soviet-Ethiopian documents. 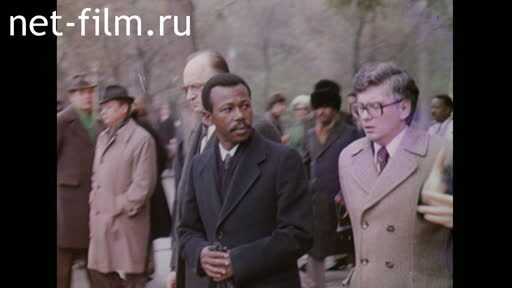 October 27, 1980 in Moscow on an official goodwill visit to the Chairman of the Provisional Military Administrative Council, the Chairman of the Commission on the organization of the Workers' Party of Ethiopia, Chief of the Revolutionary Army of the Socialist Ethiopia Mengistu Haile Mariam. MH Mariam met at the airport: General Secretary of the CPSU, LI Brezhnev, Chairman of the USSR Council of Ministers KA Tikhonov, Soviet Foreign Minister Andrei Gromyko, Secretary of the CPSU BN Ponomarev. In the Soviet-Ethiopian talks in the Kremlin attended: LI Brezhnev, AA Gromyko, NA Tikhonov, BN Ponomarev, Marshal NV Cinders, with the Ethiopian side: MH Miriam T. Kida, B. Bayeux, A. Tedli. 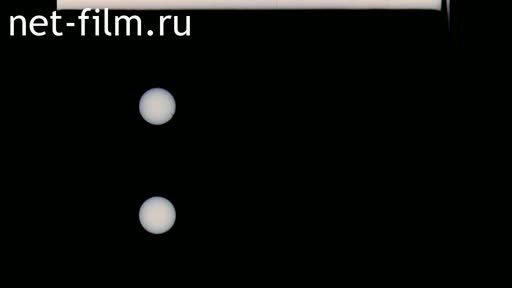 Newsreel 1918 .: Study VI Lenin in the Kremlin, the performance of VI Lenin. The arrival of foreign ambassadors to Moscow. MH Mariama are ambassadors of different countries. MH Mariam presents LI Brezhnev Order "Star of Honor" Socialist Ethiopia, acts; LI stands Brezhnev. His delegation lays a wreath at the Mausoleum of VI Lenin. The Delegation of Ethiopia and the accompanying Vice-Chairman of the Supreme Soviet of the USSR PY Strautmanis and Soviet Ambassador to the Socialist Ethiopia BE Kirnasovsky in the cabin. 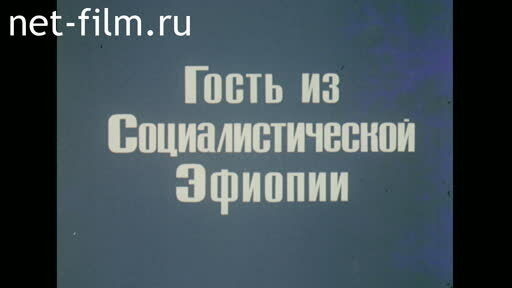 Newsreel 1943 .: The Battle of Stalingrad; the capture of General Field Marshal Paulus. MH Mariam outside Volgograd, on the Volga hydroelectric station, visited the steel and the Volgograd Tractor Plant, presents the tractor memorable Red Flag workers Ethiopia, speaks at a rally. MH Mariam on Mamaev Hill; Memorial on the Mound. Solemn meeting MH Mariama in Alma-Ata, atmosphere first secretary of the Communist Party of Kazakhstan, DA Kun. Talk MH Mariam D. Kunaev. H. Mariam visiting the city, Cotton Mill, Agricultural Exhibition, a vineyard, a kindergarten (children act, give Mariama H. figure). Monument to the Heroes of the 316th Infantry Division (Panfilov), H. Mariam lays flowers at the monument. Kinohronika1941 g .: The Battle of Moscow. Tomb of the Unknown Soldier, the Ethiopian delegation lays a wreath. At the solemn meeting devoted to the 63th anniversary of October, with the report "On Lenin's behests, the path of October" stands NA Tikhonov. Parade on Nov. 7 at the Red Square. LI Brezhnev at the mausoleum. The Delegation of Ethiopia on the guest platform. H. Mariam Mausoleum. A workers' demonstration on Red Square. LI Brezhnev gives MH Mariama Order of the October Revolution, appears. Signing LI Brezhnev and MH Mariam joint Soviet-Ethiopian statement. Solemn farewell Ethiopian delegation at the airport, among the mourners LI Brezhnev.